During the late 1950s the West End in Boston, a largely immigrant neighborhood was demolished to make way for a new urban environment. In the process many immigrants lost their homes and Boston lost a lot of potentially historic buildings. 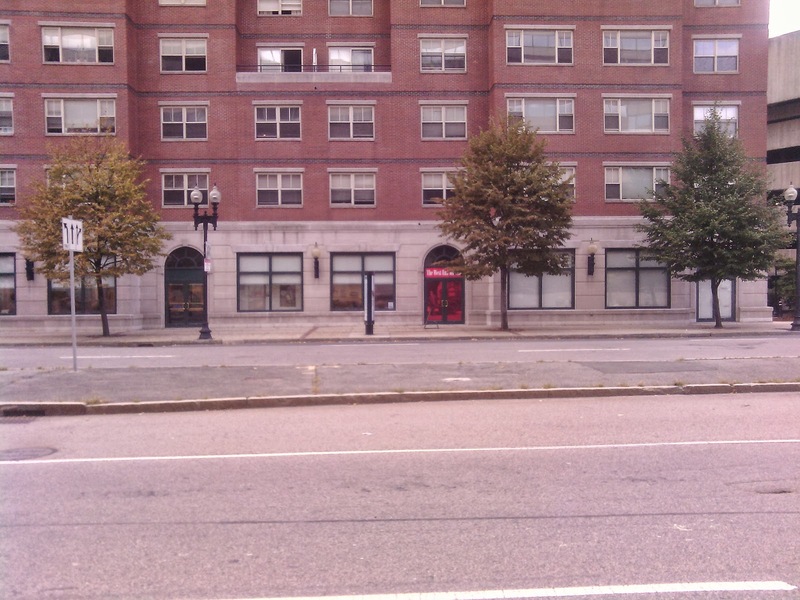 Located at 150 Staniford Street, the West End Museum was built to tell the stories of the construction of Boston and the events that happened in that particular neighborhood. As a first timer to the museum I was fascinated by how well the building blended with its surroundings. In contrast to the other museums I have been to, the West End Museum has a different facade. There's no aesthetic elements attracting to you to the facade, which might seem plain, but it made me feel more relaxed. Upon entering the museum, I felt more intimate with its contents due to its size. The museum featured three large exhibits, two of which change throughout the year. 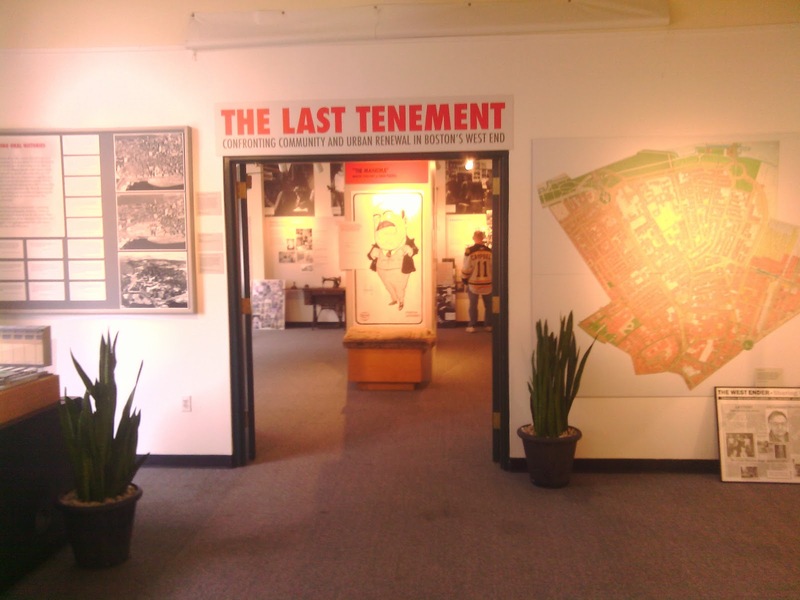 My favorite exhibit, The Last Tenement, is the only permanent exhibit. The Last Tenement is the only exhibit that didn't feel small, perhaps because of the double height ceiling, or the large photos or various objects from the 1960s around the perimeter of the room. The exhibits displayed a wide range of information, such as why the west end attracted many immigrants, and why it was important for the neighborhood to undergo the urban renewable process. That sort of information helped me understand how people lived in the late 1950s-1960s in the West End. 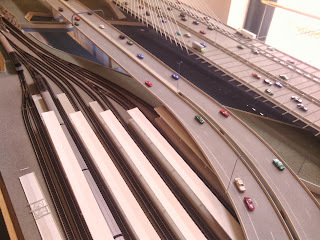 As a design student, I was immediately attracted to the small-scale models of Boston, and the model of the Zakim Bridge. They also have vintage maps on display in all three exhibits - depicting the changes in Boston over time. The changes in those maps and models was the best way to visually represent the urban renewal. 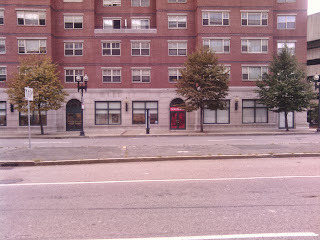 During the trip I learned so much about the transformation of Boston and the history of the West End. 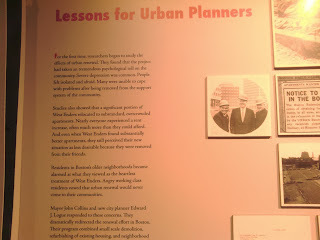 One of the pieces that I found appealing in the museum is the Lessons For Urban Planners. That part of the exhibit reminds me as a future designer and planner that my decisions will affect people and to consider all the parts and aspects of our actions. 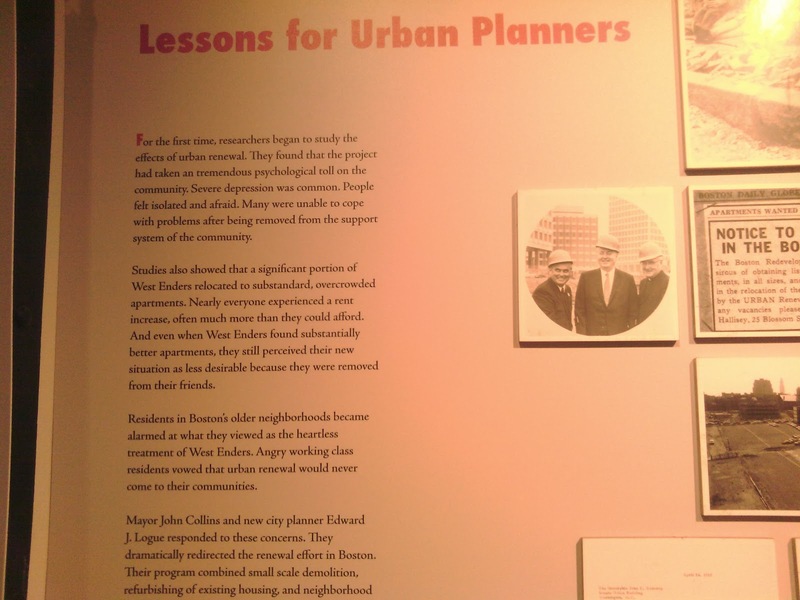 If you are ever in the West End or if you are interested in urban renewal, or want to learn more about the history of Boston, check out the West End Museum. Admission is free, but donations are accepted! Grab your camera; you will learn something new, guaranteed. Click here and check out their website for hours and events.